Dr. David Gregory, current associate dean of academic affairs at the University of Mississippi School of Pharmacy, has been named as the new dean of Belmont University’s College of Pharmacy. Gregory will succeed founding dean Dr. Phil Johnston, who was recently promoted to a new position as Belmont’s vice provost for academic affairs. Gregory, a native of Nashville, will begin his new position on Belmont’s campus Feb. 1. As the chief academic and executive officer for Belmont’s College of Pharmacy, Gregory will be responsible for the programmatic leadership, financial management, personnel administration and planning and development for the approximately 300 students and 29 faculty who make up the college. In his current role as an associate dean at Ole Miss, Gregory’s responsibilities include leadership of approximately 800 students in both the pre-professional and professional degree programs of the School of Pharmacy along with strategic and visionary planning in the ongoing development of policies, programs, curriculum and clinical practice that align with the educational mission of the School. He oversees daily operations regarding key infrastructure components related to human resources, purchasing, financial management and student support services, and he creates an academic environment of excellence that fosters student growth both professionally and personally while increasing the visibility, advancement and recognition of the School of Pharmacy. Gregory earned a bachelor’s of science and a Doctor of Pharmacy degree from the University of Mississippi. Prior to joining Ole Miss in 2013, Gregory spent a significant portion of his career in Nashville with positions of increasing responsibility with Vanderbilt University Medical Center. From 2008-2013, he served as VUMC’s director of pharmacy for education, drug policy, research and clinical pharmacy services within the Department of Pharmaceutical Services. During his time in Nashville, Dr. Gregory also contributed time to the Belmont College of Pharmacy External Advisory Committee. In addition to his professional duties, he also currently serves as an accreditation surveyor for the Accreditation Council for Pharmacy Education (ACPE) and is a member of the American Society of Health-System Pharmacists (ASHP) Workforce and Education Council. He received the 2009 University of Mississippi School of Pharmacy’s Distinguished Alumnus Award, the 2011 Belmont University College of Pharmacy Professional Stewardship Award and the 1997 Vanderbilt Hospital Pharmacist of the Year Award, among other accolades. 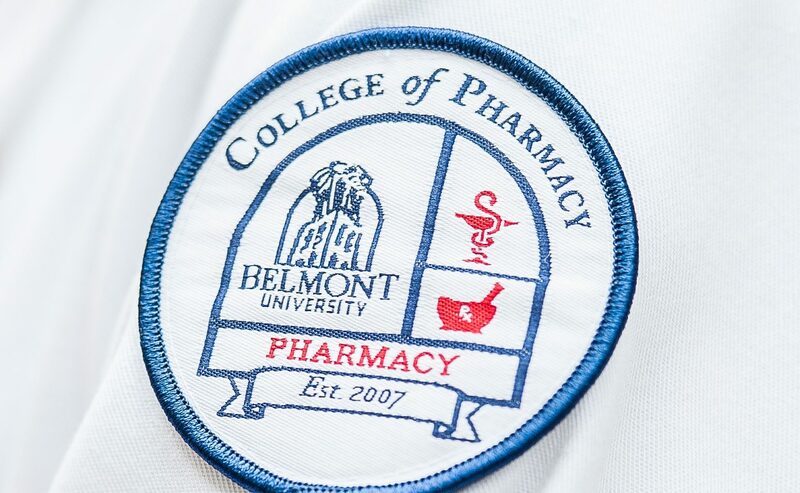 Situated in the health care capital of the world, Belmont University’s College of Pharmacy is dedicated to rigorous and purposeful teaching, scholarship, service and leadership. The College develops pharmacists prepared to meet the demands of an evolving and contemporary practice as 95 percent of spring 2017 graduates recently passed the North American Pharmacist Licensure Examination. With five areas of specialized concentration including pharmacotherapy, information management, pharmacy management, pharmacy missions/public health and a PharmD/MBA program, students have the opportunity to tailor their education to their unique passions. Faculty dedicated to student success, state-of-the-art classrooms, laboratories, simulation rooms, drug information center and a student-run, working pharmacy combine to create a collaborative educational space where students can learn skills while further developing their pharmacy interests.